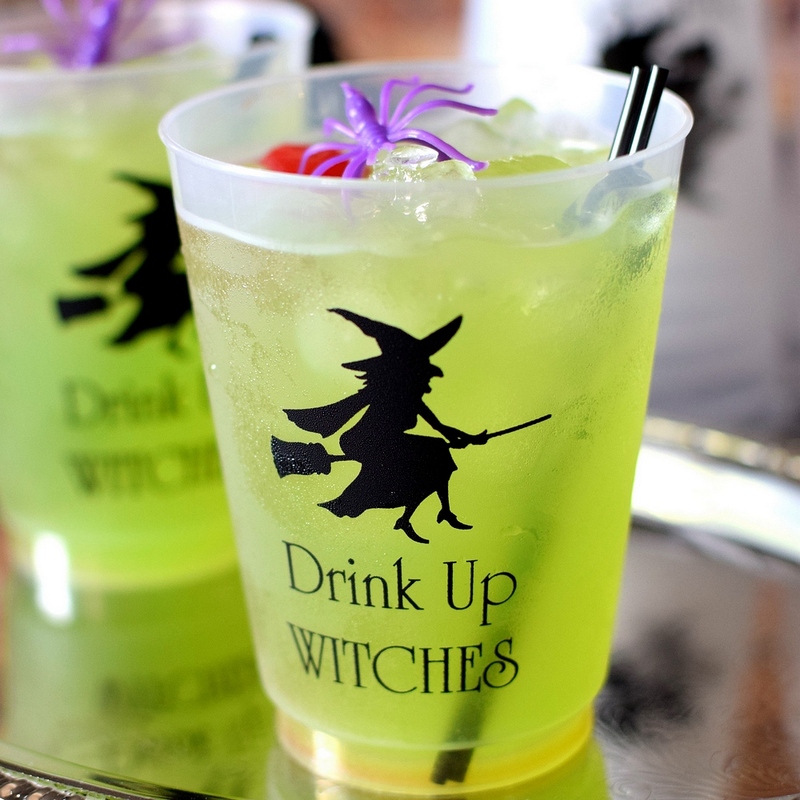 A great addition to any spooky Halloween party, serve beer, cocktails, and soda in these reusable, 16 oz custom printed plastic souvenir cups. Your guests can take their cups home as souvenirs after your party ends. Made from BPA free, frosted, flex-plastic, these cups are dishwasher safe in the top rack and will comfortably hold around 12-14 fluid ounces (16 ounces when full to the brim). Personalize your cups with a spooky Halloween design and your own custom message printed in your choice of imprint color and lettering style. These cups are the ideal size for holding beer, cocktails, and pop. Two-sided printing available at no additional cost.